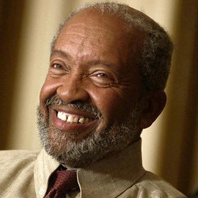 October 30, 1933 Wallace Delaney Muhammad (Warith Deen Mohammed), Muslim leader and author, was born in Hamtramck, Michigan. In the late 1950s and early 1960s, Mohammed served as a minister under his father, Elijah Muhammed, in Philadelphia before being excommunicated for denying the divinity of Wallace Ford Muhammad. In 1961, he was sent to federal prison for 14 months for refusing induction into the United States military. After his father’s death in 1975, Mohammed was accepted by the Nation of Islam as its leader. He introduced many reforms intended to bring the organization closer to traditional Islam and renamed it the American Society of Muslims. Mohammed was instrumental in establishing interfaith cooperation with other religious communities, especially Christians and Jews. In 1977, he led the largest delegation of Muslim Americans on a pilgrimage to the Sacred House in Mecca, Saudi Arabia. In 1992, Mohammed was cited for exemplary work in the religion of Islam by Egypt’s President Hosni Mubarak and given The Gold Medal of Recognition, Egypt’s highest and most distinguished religious honor. Mohammed authored a number of books, including “The Man and Woman in Islam” (1976), “Religion on the Line” (1983), and “Life the Final Battlefield” (2008). Mohammed died September 9, 2008.